Winter is a time when many hang up their backpack or head across the globe to a warmer destination. Visiting a country and being a tourist with sub-zero temperatures and short daylight hours aren’t always appealing. But, Bosnia can make an excellent place during winter if you’re willing to endure the temperatures. Here are a few reasons why. Bosnia’s Christmas may be different from what you expect from a country with a sizeable Muslim population. Anyone who’s travelled to the Middle East or Indonesia knows Christmas isn’t a holiday everywhere. Bosnia, on the other hand, has a large secular Winter Holiday Festival to cater to Catholics as well as the Orthodox and Muslims to enjoy too. 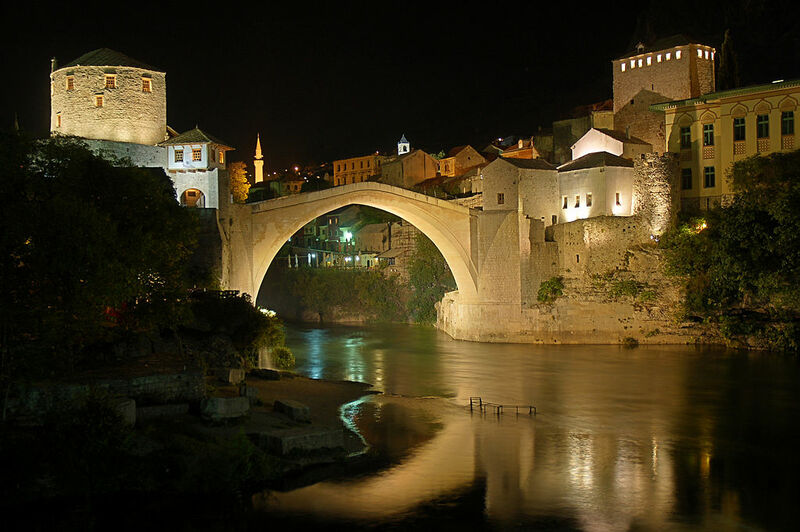 Historic towns and cities against a backdrop of mountains make Bosnia an attractive destination. 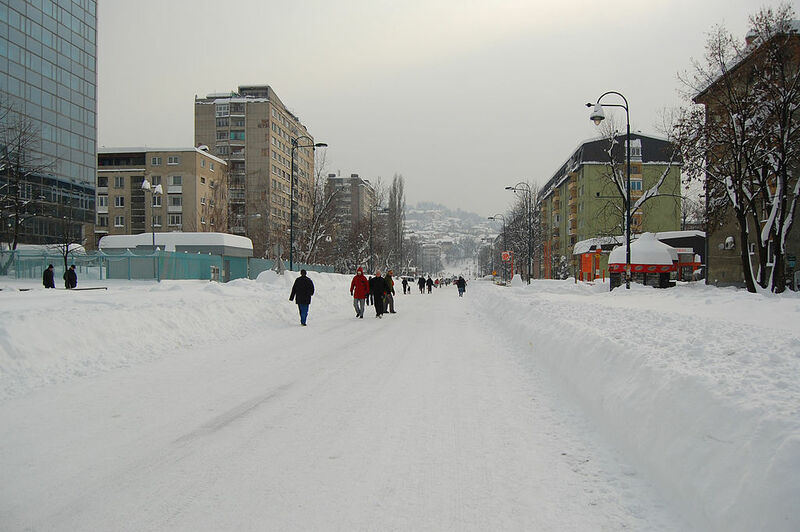 But imagine how pretty Sarajevo’s Bascarsija will look under a blanket of white snow. A beautiful country becomes even more picturesque in the winter. Bosnia held the Winter Olympics for a reason. Some of the most beautiful ski resorts in the Balkans, on par with those in the Alps (including Vlasic, Bjelasnica and Jahorina) ,are here. Locals head to the mountains after the first snowfall, typically in late October, and take part in skiing and snowboarding activities until spring. Sarajevo is home to plenty of museums from those specialising in history and art to those featuring war memorials. So much to see, so little time. When the weather is chilly, foggy or gloomy, who wants to spend hours walking around the city? Most would seek refuge inside, giving a perfect chance to soak up some culture. Particular places to check out include the National Museum, Crimes Against Humanity and Genocide, Galerija 11/07/1995 and the Gazi Husrev Bey Museum. Winter in some countries around the world bring images of sub-zero temperatures and a freeze lasting for months. Bosnia doesn’t get this cold, and you’re not going to freeze when you’re travelling here. Daytime highs average between 8 t0 10°C from December to February in Mostar, and the minimum rarely dips below freezing point. Sarajevo is slightly colder. Cafés are everywhere and tend to be full. Locals sip their strong coffee while chitchatting away with friends for hours at a time. For winter travellers, you have the advantage of never being too far away from a warm, cosy café. Mostar gets far more tourists than other parts of Bosnia. And the vast majority come during the summer. Stari Most and Bazaar Kujundziluk become crowded, but, in the winter, tourists don’t brave the cold, leaving the Old Bazaar’s streets to you. 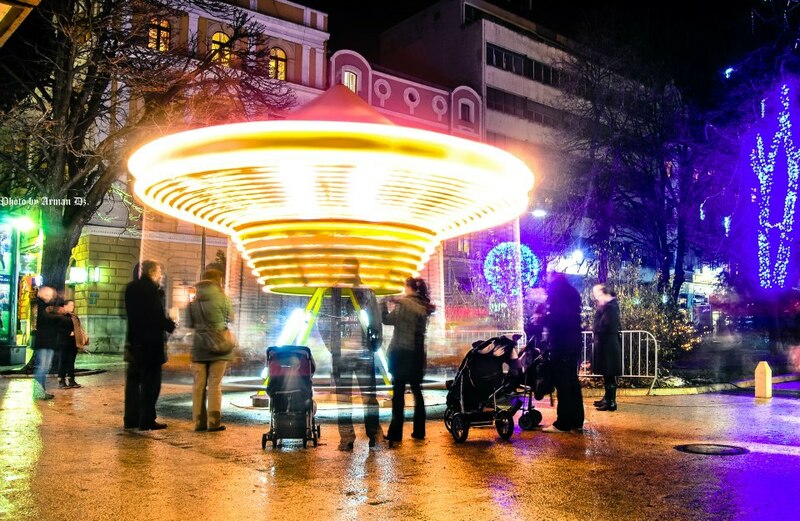 Every year, since 1984, thousands of artists from around the world come to Sarajevo to take part in the Winter Festival. Concert halls, museums, galleries and the Olympic Hills are full of exhibitions, concerts and plays meant to entertain the 3 million visitors. You can find something in all parts of the city, and it is worth checking out if you’re in Sarajevo between February and March. One of the advantages of having mountain resorts is the availability of accommodation. Picture a log cabin with a roaring fire keeping you warm and cosy as the snow falls outside. Skiers take advantage of the beautiful setting, and you can too. 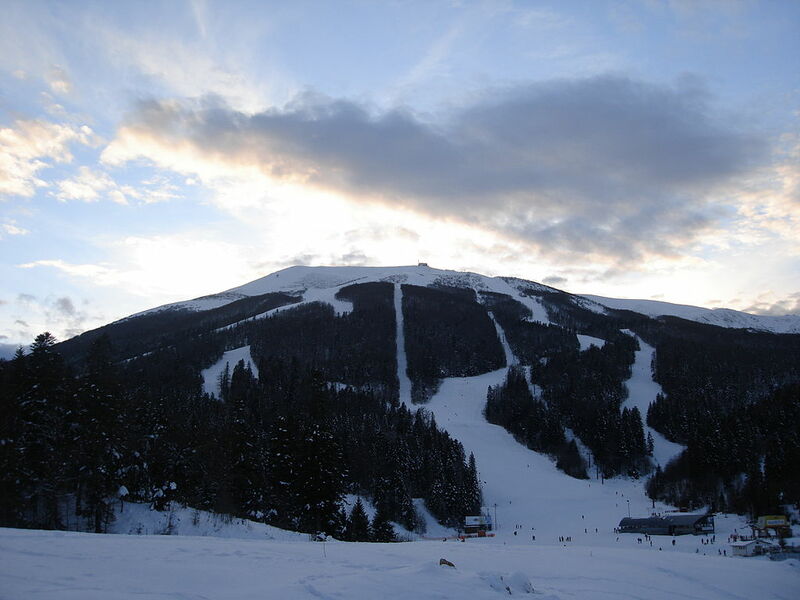 The best lodgings are near the ski resorts and within a short drive from Sarajevo. 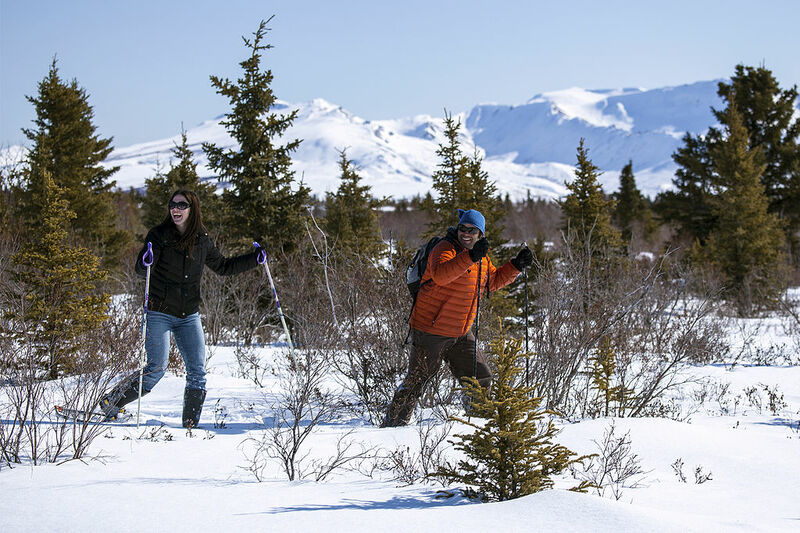 The easiest way to explain snowshoeing is to think of hiking over snowy terrain wearing, you guessed it, snowshoes. The rigid structure and grip make covering distances on a blanket of snow easy. When you get a pair, lots of doors open to explore the winter paradise around you. Bosnia has some of the best trails in Europe for snowshoeing in the not-so-well–known mountains. Expect snow-covered pine forests, frozen lakes and waterfalls. Bey’s Soup, or Begova Corba, is a steamy soup with slow-cooked chicken and vegetables in a clay pot. The delicious broth and hearty fillings give visitors a burst of warmth and energy on even the coldest Bosnian days. After spending a few hours exploring the cities, a warm bowl of Bey’s is a sure way to combine delicious food with an excuse to sit in one of Sarajevo’s or Mostar’s traditional restaurants.